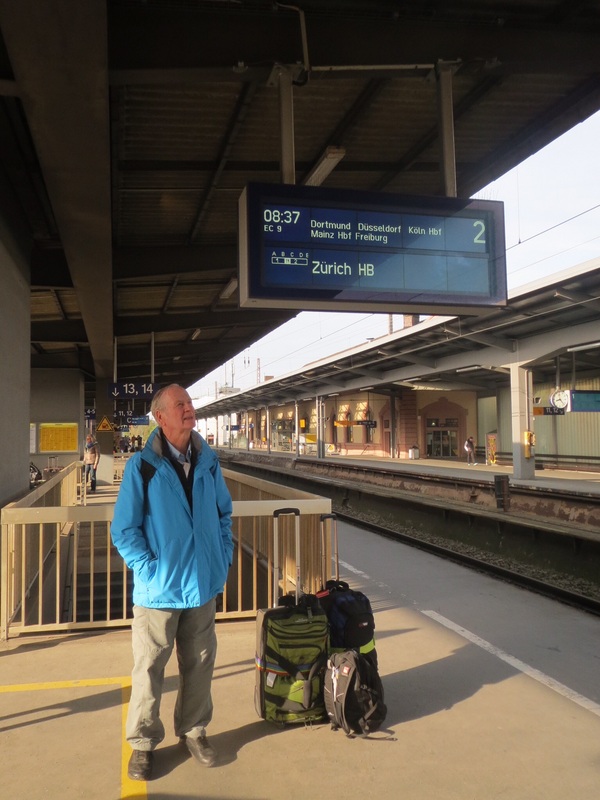 We arrived in Munich the day before a 6 day rail strike, along with many returning from the May Day long weekend. Munich Hauptbahnhof was very busy but we managed to negotiate our way to our friends in Schwabing, who have very generously loaned us their brand new studio apartment. This is in Kaulbachstrasse right next to Schackstrasse and close to the English Garden (Englischer Garten). We ventured by bike into the Engl ish garden, which was quite sedate but llater attempting shopping in one of the main streets was a different thin altogether. Munich bike riders ride like they are in the Tour de France and there are strange rules about where bikes go and pedestrians fear to tread. Added to that the Australian way of keeping to the left in a country which drives on the right and there’s bound to be some collisions! We did manage to cycle home with 2 bottles of wine, tomatoes and Camembert all in tact. Of course, being such an iconic place for food and wine, we had to experience the Vikualienmarkt. This wonderful market features all kinds of food stalls. On 22 May, the Metzgeriei or butchers celebra te 700 years of selling meat in the Viktualienmarkt. 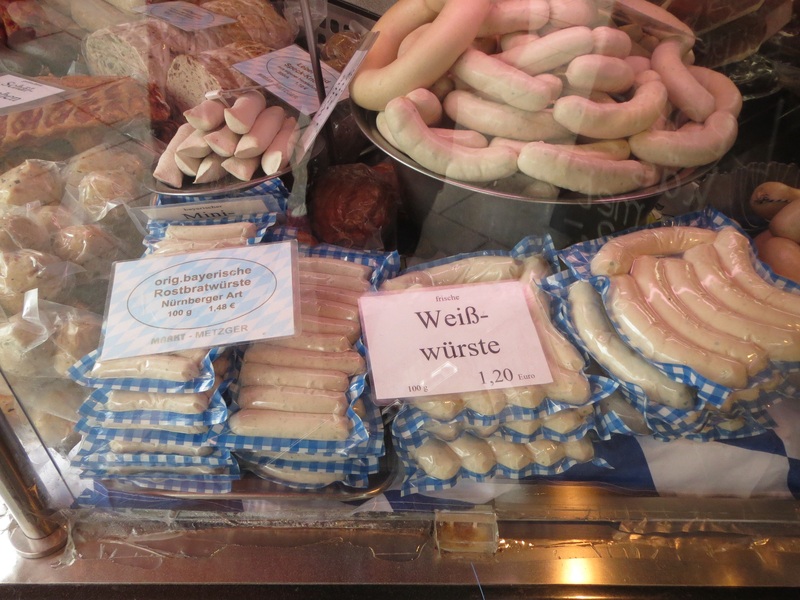 Our family’s favourite Weisswurst or white sausage was on display, in suitable Bavarian colours. We sampled some sourdough bread, made from stone ground wheat with Baerlauch butter. 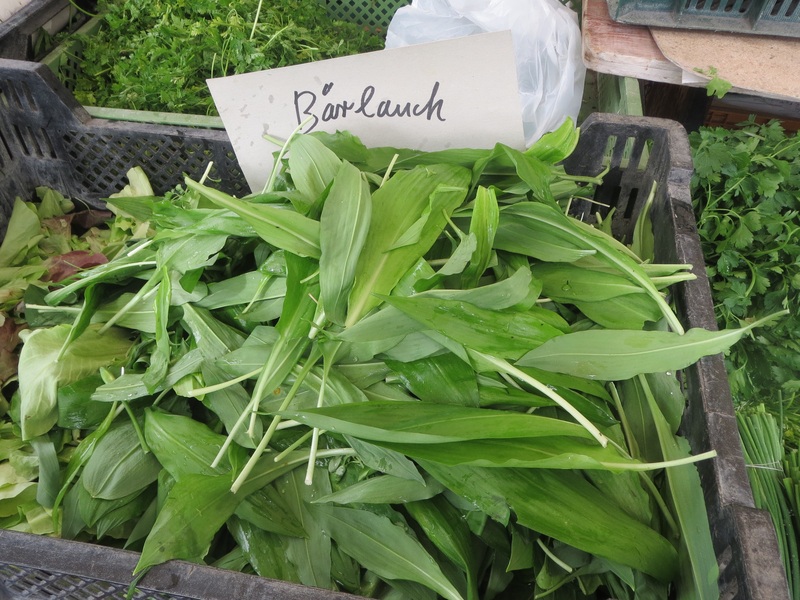 Baurlauch is a nutty herb which we had never tasted before and which we later purchased for €2/100g at a herb stand. We later found this herb growing wild in the English Garden as we went on our afternoon constitutional! The Vikualmarkt is right next to the Marienplatz, or main town square where the Rathaus features the famous Glockenspiel at 11am and 4pm. 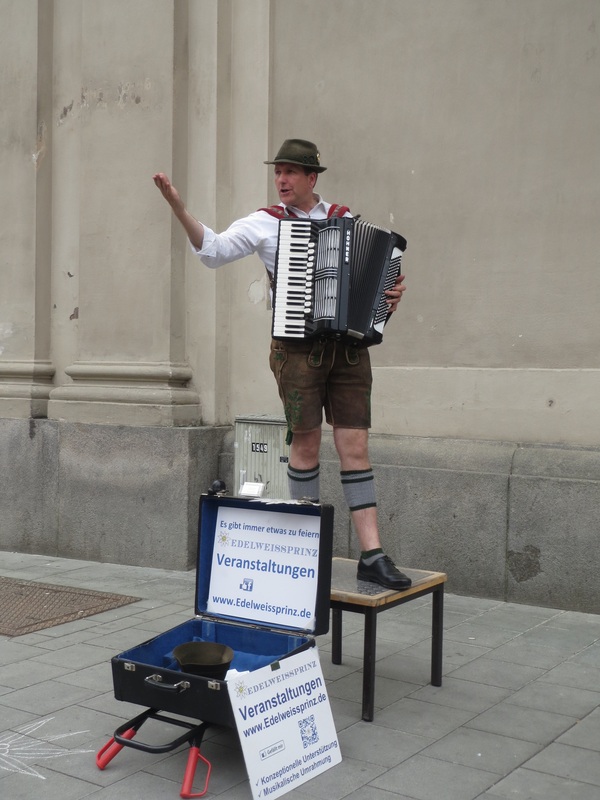 We just happened to be there to witness hundreds of tourists taking photos as well as a lone busker, yodelling his little heart out. 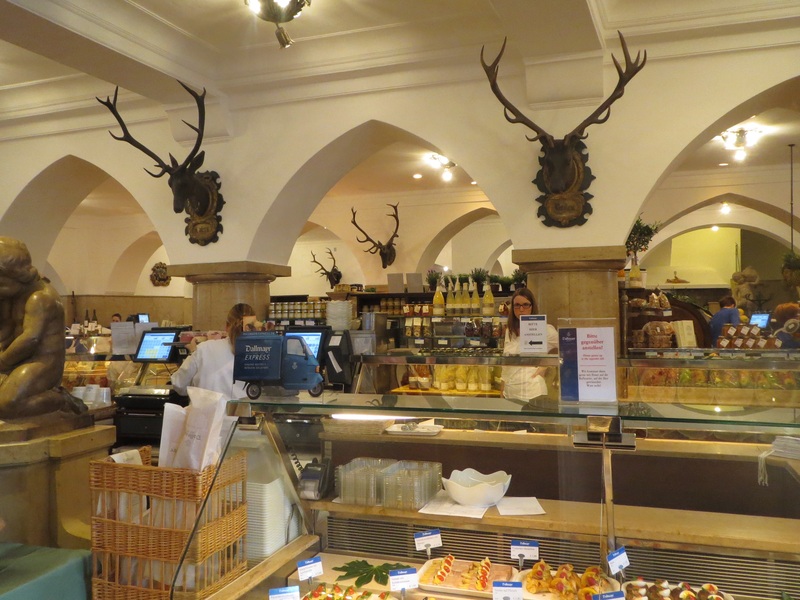 Wandering around behind the Marienplatz, we just happened to stumble on Dallmayr express, apparently the most exclusive address for gourmands in Munich. A mandatory kaffee and kuchen was required. Our day was completed by our daily bike ride and finding a flock of sheep in the English Garden, being herded by a shepherd and his sheep dog. Where else but in Munich could this happen?